Wanna get into blogging? Or already blogging and simply want to up your game? 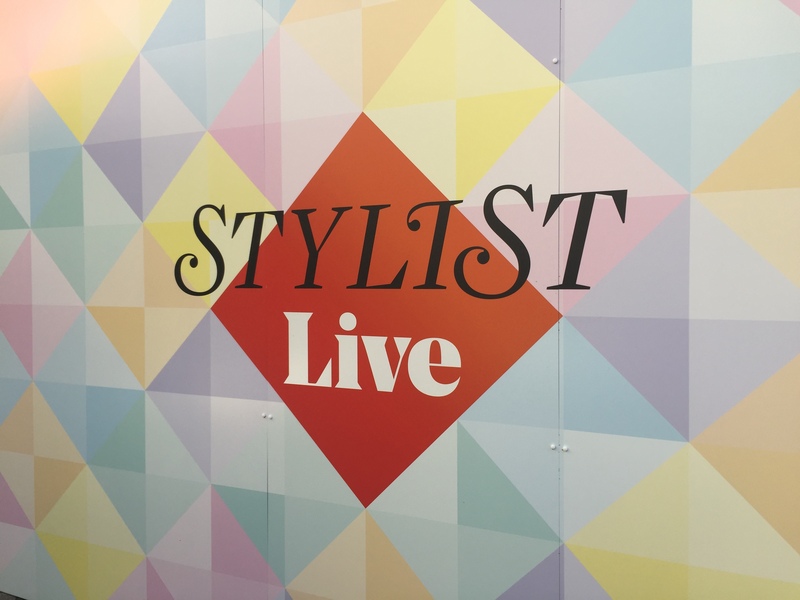 I caught up with Susie Bubble and Shirley from Shirley's Wardrobe at Stylist Live to get the ultimate low-down on their blogging journey and their advice on how to stand out from the crowd. Shirley: It was proper geek mode at the beginning with HTML and coding and focusing on making my blog look really pretty. Do you remember when you used to have a MySpace page with our music players? So I used that to create my blog. I was posting about anything: my make-up, my fashion looks - and it all went side by side with my YouTube channel. How did you both find an audience? Susie: For me I think it was a timing thing. It was 2006 and within a few months of my blog first starting, I picked up press quite quickly in publications like Teen Vogue. I was also a part of these online fashion communities and reached out to 10 bloggers I really respected. Shirley: In the beginning it was a small community of bloggers and it was a very friendly environment, everyone shared ideas but as it's grown it's had to become more competitive - people want to create content to be the best versions of themselves. So that's how we got out there - through communicating and collaborating and keeping your favourites on your blog roll. Is there a magic formula in terms of how much you should post? Susie: I think it's changed a lot since the beginning as the platforms have changed - people want to get content through their mobiles, Snapchat, Insta stories - those platforms are much more immediate. My frequency's probably gone down purely because I want to create longer form, more detailed stories - not necessarily news bites that you'd get on Twitter but rich stories that's unique. Shirley: As bloggers, we're generating ideas constantly - is it more quality or quantity? You'll go through phases - at Christmas you'll have so much to talk about so that's when you'll get your more frequent content and then when it comes to summer time, it gets more challenging. I don't have a formula as such, I go with my feeling and what I'm passionate about at that time. How do you tell what's done well on your blog, and does that influence future content? Susie: I personally don't analyse it too deeply but I look at where the traffic's coming from, what's been read, what's been shared on social. Shirley: As bloggers, we're generating ideas constantly - is it more quality or quantity? You'll go through phases - at Christmas you'll have so much to talk about so that's when you'll get your more frequent content and then when it comes to summer time, it gets more challenging. I don't have a formula as such, I go with my feeling and what I'm passionate about at that time. Sometimes things don't do as well as I expect but then I do things off the rack and they'll take off so as long as you love what you're doing - whether that's one or two people reading - it's worth it. You never really know what'll do well, make sure it comes from a place passion and they analytics are an added bonus. What pieces of content have worked for you? Susie: Opinion pieces work really well, I don't tend to rant too much - to craft a good rant takes time and you need to make sure your argument is valid. My remit isn't to be a critic but I'll do it when I feel really strongly about it and when I care about the issue in hand. Shirley: I wake up everyday at 5am and go straight to the gym to work out and once I'm back, I sit down and reply to emails and look at feedback from the audience. I make a plan from that, film any videos that need filming. I do all of my videos, meetings and photography myself - sometimes I rope my brother or my sister into it if I bribe them with a Starbucks. Any tips for start up blogging? Susie: Wordpress is good if you have a developer working with you or you have HTML knowledge. Go Daddy is a classic domain site to get your URL set up. Shirley: I'm biased because I use Wordpress and I also use a hosting provider to handle all of the background work. Look into getting a theme or a graphic and/or web designer. I love the 'Web Designer for dummies' - it has lots of practical tips. How do you turn your blog into a business? Susie: It is a numbers game unfortunately today where brands are looking at your followings, but what's really great is brands are looking to get their content created and use the skills of good photographers and illustrators to get you out there. Shirley: It's about building your personal brand and placing a value on the work that you do. A blog post will cost this much, a video or an Instagram will cost this much. You're not going to go to a designer store and expect high street prices, and you're not going to go to a high street store and expect designer prices. Open up negotiations with brands and start conversations and be proactive with working together. Follow the brands you like and follow the bloggers who inspire you and engage with their content. How do you balance sponsored posts? Susie: I try to set a loose ratio of around 5-10% of sponsored content or has a commercial focus, and then there's 90% of posts that I'd write about anyway. It puts me on a path where I'm creating content that I'm passionate about. Don't say yes to everything and make sure the collaboration is right for you and you're creating content that will be received well by your audience. Shirley: The organic stuff are the posts I always enjoy but sponsored posts require more planning to not only make sure you're pleasing yourself and your audience, but you're pleasing the brand too as you're getting paid. I try and do an equal balance of the two - in some seasons like Christmas there's lots of opportunity for sponsored posts but it's making sure it's as organic as possible so your audience still enjoy it. Why do you think there's still tension between traditional press and blogging? Susie: We're kind of all doing the same thing, so when the comments come out on those sorts of articles, I have a "I thought we'd got past this" moment. Traditional media have had to adjust to a lot of change but I don't want to set it up as a 'us vs them' as we work side by side, I worked for some of those publications all of my life at the end of the day. I'd like for it to move on - they're creating content, we're creating content, they're putting it out in beautiful magazines and we're doing it for the same purpose. Shirley: There's enough sunshine for everyone but we just have different narratives and perspectives.